The sample application essay below was written by Felicity for personal essay option #4 of the pre-2013 Common Application: "Describe a character in fiction, a historical figure, or a creative work (as in art, music, science, etc.) that has had an influence on you, and explain that influence." With the current Common Application, the essay could work well for essay option #1 that asks students to share a story about something that is central to their identity. Note that Felicity's essay is from before the Common Application implemented the current 650-word length limit. In the South, where I grew up, pork is a vegetable. Actually, it’s used as a “seasoning,” but so commonly that it’s almost impossible to find salad without bacon, greens without fatback, white beans free of pinkish shreds of ham. It was difficult for me, then, when I decided to become a vegetarian. The decision itself, made for the usual reasons of health, ethics and ecological conservation, was easy; putting it into practice, however, was another matter. At every restaurant, every school lunch, every church potluck, every family gathering, there was meat—in the entrée, the sides, the condiments. I suspected even innocent-seeming pie crusts of secretly harboring lard. Eventually I worked out a system: I brought my own lunches to school, asked servers about the broth used in the soup of the day, avoided the usual suspects of beans and greens. This system worked well enough in public, but at home, I faced the challenge of respecting my parents and harmoniously sharing meals with them. They were excellent cooks, both of them, and I had always enjoyed the country-fried steaks, burgers and ribs they’d served to me for so many years—how could I now say “no” to those delicacies without angering or inconveniencing them, or, worse, hurting their feelings? I couldn’t. And so, I backslid. I’d manage to live a pure, meatless life for a few weeks, subsisting on pasta and salads. Then, Dad would grill an especially juicy teriyaki-marinated flank steak, look at me hopefully, and offer a slice—and I would accept. I’d mend my ways, steam rice and stir-fry snow peas with mushrooms . . . and crumble at the first whiff of the Thanksgiving turkey roasting in the oven and the proud smile on my mother’s face. My noble goals, it seemed, were doomed. But then, I found a role model, one who demonstrated to me that I could live without meat and still be a functioning member of society, eschew my parents’ pork chops and fried chicken without giving offense. I wish I could say that I was inspired by one of history’s great artists like Leonardo da Vinci, or a leader and inventor like Benjamin Franklin, but no. My inspiration was Lisa Simpson. Let me pause here to acknowledge how absurd it is to be inspired by an animated sitcom character, albeit one as smart and together as Lisa. 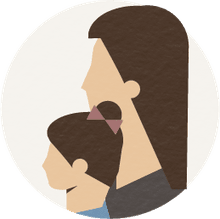 Yet it was the very absurdity of feeling, somehow, moved by Lisa’s resolve and strength of character, her refusal to compromise her beliefs, that convinced me I could follow her example. In the pivotal episode, Lisa is tortured by visions of the lamb whose chops provide her family’s dinner. “Please, Lisa, don’t eat me!” the imaginary lamb implores her. She is moved by ethics, yet almost breaks her resolution when Homer prepares a pig roast and is hurt by his daughter’s refusal to partake. Like me, Lisa is torn between her convictions and her fear of disappointing her father (not to mention the undeniable deliciousness of pork). But she manages to explain her beliefs to Homer and show him that her rejection of meat is not a rejection of him—that she can share his table and his love while still living according to her principles. So I did. I told my parents that I had decided to really commit myself to vegetarianism, that this was not a passing phase, that I was not judging or seeking to convert them, but that this was simply something I had decided for myself. They agreed, perhaps a bit patronizingly, but as the months went on and I continued to forego the chicken in my fajitas and the sausage gravy on my biscuits, they became more supportive. We worked together on compromise. I took on a larger role in preparing the meals, and reminded them to please use vegetable stock in the potato soup and to reserve a separate pot of plain spaghetti sauce before adding the ground beef. When we attended a potluck, we made sure that one of the dishes we brought was a meatless entrée, so that I would be guaranteed at least one edible dish at the pork-laden table. 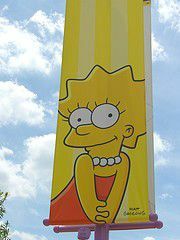 I did not tell my parents, or anyone else, that Lisa Simpson had helped me say no, forever, to eating meat. Doing so would cast the decision, one that many teenagers passionately make for a few months and then abandon, in the light of well-intentioned immaturity. But Lisa did help me live a more healthy, ethical, and ecologically sound life—to say no to pork, in all its guises. Overall, Felicity has written an excellent essay for her Common Application. She does, however, take a few risks that could backfire. The comments below examine the essay's many strengths as well as a few of the potential problems. Felicity has certainly avoided some of the worst essay topics, but when students are asked to write about a fictional or historical figure for an application essay, admissions officers expect to find an essay on one of the likely suspects like Martin Luther King, Abraham Lincoln, or Albert Einstein. For fiction and art, applicants tend to think big—a Jane Austen heroine, a Monet painting, a Rodin sculpture, a Beethoven symphony. So what are we to make of an essay that focuses on a seemingly trivial cartoon character like Lisa Simpson? Put yourself in the shoes of an admissions officer. It's tedious reading through thousands of college applications, so anything that jumps out as unusual can be a good thing. At the same time, the essay can't be so quirky or superficial that it fails to reveal the writer's skills and character. Felicity takes a risk in her essay by focusing on a rather silly fictional role model. However, she handles her topic well. She acknowledges the strangeness of her focus, and at the same time she produces an essay that really isn't about Lisa Simpson. The essay is about Felicity, and it succeeds in showing her depth of character, her inner conflicts and her personal convictions. Titles can be difficult which is why many applicants skip them. Don't. A good title can grab your reader's attention and make him or her eager to read your essay. "Porkopolis" doesn't make clear what the essay is about, but the strange title still manages to make us curious and pull us into the essay. In fact, the title's strength is also its weakness. What exactly does "porkopolis" mean?. Will this essay be about pigs, or is it about a metropolis with too much pork-barrel spending? Also, the title doesn't tell us what character or work of art Felicity will be discussing. We want to read the essay to understand the title, but some readers might appreciate a little more information in the title. Among the essential writing tips for a winning essay is the inclusion of a little humor to keep the essay fun and engaging. Felicity manages humor with wonderful effect. At no point is her essay shallow or flip, but her catalog of southern pork dishes and introduction of Lisa Simpson are likely to receive a chuckle from her reader. The essay's humor, however, is balanced with a serious discussion of a challenge Felicity faced in her life. Despite the choice of Lisa Simpson as a role model, Felicity comes across as a thoughtful and caring person who struggles to mesh the needs of others with her own convictions. Felicity's essay is from before the current 650-word limit on Common Application essays. At about 850 words, the essay would need to lose 200 words to comply with the new guidelines. When it was written, however, Felicity's essay was a good length, particularly because there's no obvious fluff or digression. Also, Felicity is clearly a strong writer. The prose is graceful and fluid. The mastery of style and language marks Felicity as a writer who would be capable of performing well at the country's top colleges and universities. Felicity grabs our attention with her humorous first sentence, and the essay holds our interest throughout because of the shifts between the serious and the whimsical, the personal and the universal, the real and the fictional. The sentences mirror these shifts as Felicity moves between short and long phrases, and simple and complex sentence structures. There are most likely strict grammarians who would object to Felicity's liberal use of the dash and her lack of the word "and" to introduce the final items in some of her lists. Also, someone might take issue with her use of conjunctions (and, yet, but) as transitional words at the beginnings of sentences. Most readers, however, will view Felicity as a dexterous, creative, and talented writer. Any breaking of the rules in her writing works to create a positive rhetorical effect. Like most good essays, Felicity's is not without risk. She could run up against an admissions officer who thinks the choice of Lisa Simpson trivializes the purpose of the personal essay. However, a careful reader will quickly recognize that Felicity's essay is not trivial. Sure, Felicity may be grounded in popular culture, but she emerges from the essay as a writer who loves her family but is not afraid to stand up for her own convictions. She is caring and thoughtful, playful and serious, inward and outward looking. In short, she sounds like a great person to invite to join one's campus community.